Rachel Buena's funeral service and burial at Beth Haim were attended by Michael. Anne-Marie traded and acted as a financier up to 1666. Cf. De Bruyn Kops, 2007, p. 284. The exact date of the marriage between Michael and Rachel is uncertain. Some stress 1620 as the date of their marriage. However, 1622 or early 1623 is also possible (Meinsma, p. 56). Maria Nunes Garces originated from Ponte de Lima (south bank of the Lima river). Hester de Espinosa's parents were deceased at the time of the registration of her forthcoming nuptials with Michael d'Espinosa: ‘geen ouders hebbende’ (without parents) (Spinoza, mercator & autodidactus, p. 21, III,11a). The marriage registrars were Henrick Dircksz Reynst and Outgert Pietersz Spiegel (cf. Dapper, 1663, Appendix ‘Namen van de schouten’). Isabelle Correa was a poet and translator. She was one of a few female Jewish poets in the Netherlands before the 19th century. Grave of Mrs. Hanna Deborah d’Espinosa, spouse of mr. Michael d’Espinosa, who was taken up by God on 28 d Cheshvan of the year 5399’. Herman Dircksz Homan came from Enkhuizen. He married Jannetjen Gerrits on 26 September 1627 in the Amsterdam Zuiderkerk (Enkhuizen, Westfries Archief, DTB, inv. no. 1707-09,45, fol. 76). He married (sometime before 1664) in second wedlock Geertgen Jansdr Verruyt. On 7 January is buried dona Sara Espinosa, sister of Abraham Espinosa of Nantes and her grave is in the eigth row, no. 9, next to the wife of Daniel de Fonceqa. Henry Clerke was a virtuoso physician. He took out his doctoral degree in Medicine in 1652, and was deputy lecturer in anatomy (1657). See: ODNB. Clerke is mentioned in the correspondence between Oldenburg and Spinoza (cf. 1665.12.18, Ep. 33). Johann Conrad Dürr was professor of moral philosophy (1654) and theology (1657) at Altdorf. He published the first independent Lutheran ethical system in Enchiridion theologiae moralis (Nuremberg, 1662), and issued many books, like Ethica paradigmatica (Jena, 1670) and Compendium theologiae moralis (Altdorf, 1675). Jacob Thomasius was a German academic philosopher and jurist. The physician and physiologist Richard Lower was elected a Fellow of the Royal Society in 1667. A follower of William Harvey, he enjoyed a reputation for his work on experimental blood transfusion in dogs and in a human being. Lower, who was befriended by Boyle, Wren and Hooke, and particularly earned a reputation for his second book Tractatus de Corde (Amsterdam, 1669), a work on the heart and lungs and blood transfusion. See: ODNB; Donovan, 2004. Giuseppe de Campani worked in Rome as a clockmaker, mechanic, astronomer and commercial optician. He was the builder of huge powerful long-focal-length refracting telescopes of great excellence. Constantijn Huygens Sr possessed a so-called ‘Campanine’. See: Bedini, 1962; DSB, vol. 3, p. 23; DBI. François Halma was a pressman and publisher in Utrecht, Amsterdam (1699–1710) and Leeuwarden. He authored works ranging from poetry and dictionaries to an anthology of Reformed church music and translations of the works of Pierre Bayle. See: NNBW, vol. 6, col. 690. Johannes Melchioris studied philosophy in Heidelberg and theology in Groningen (Album studiosorum Academiae Groninganae, col. 97). He was appointed (1682) to the chair of theology at Herborn University. See: Steubing, 1823, passim; ADB, vol. 21, pp. 291–2. For an analysis of Melchioris’s position on TTP and his orthodox vindication of the authority of the Bible: De Vet, 1991; Israel, 2010, pp. 77–8. For his other works: Trocha, 2008, pp. 80–1. Friedrich Rappolt was a Leipzig professor of dialectics (1651), professor of poetry (1656) and theology (1670). He was dean of the theology faculty in (1674) and rector of Leipzig University. He was a member of the so-called Collegium Gellianum (founded in 1641), a learned society of Leipzig scholars focusing on the writings of ancient authors. In 1675, Rappolt authored an noted commentary on the work of Horace. See: Rappolt, 1693, Tietz, 2008, p. 51. Giovanni Domenico Cassini I taught astronomy in Bologna. He was the director (1671) of the Royal Observatory in Paris. His brilliance and reputation rests upon many scientific achievements: the ‘Cassini ovals’, the first measurement of the size of France, and the discovery of the big red spot on Jupiter, an observation he shared with Robert Hooke. See DSB, vol. 3, pp. 100–4; Van Helden, 1999, pp. 48–65. Isaac Newton was an English mathematician, astronomer, and physicist. He is one of the most influential scientists of all time and a pivotal figure in the scientific revolution. See: https://plato.stanford.edu/entries/newton/. Pierre Gassendi was a French philosopher, priest, scientist, astronomer, and mathematician. He held a church position in south-east France, but spent much time in Paris, as the leader of a group of free-thinking intellectuals. He was also an active observational scientist, publishing the first data on the transit of Mercury in 1631. See: https://plato.stanford.edu/entries/gassendi/. Adrien Auzout was a French astronomer and mathematician. He was member of the Parisian ‘circle’ around Mersenne, and a fierce opponent of Hevelius (cf. 1665.10., Ep. 31). He was elected Fellow of the Royal Society in 1666, and was known for his instrumental skills and telescopic observations. See: Brown, 1967; DSB, vol. 1, pp. 341–2. Pieter Baert (fl.1665–1702) was a Regius professor of hydrography in Dunkirk (1676) and Toulon (1680). He was a member of the Académie Royale des Sciences. In 1684, Baert issued the geometrical Traité de la pendule à cycloide (Marseille). See: Cassini, 1710; NNBW, vol. 1, col. 224; Ziggelaar, 1973; Pouvreau, 2008, pp. 67–9; Villiers, 2013. Van der Werve, an advocate in the service of the Court of Holland (cf. Album advocatorum, p. 339). The latter lawyer held office at the Raamstraat in The Hague (cf. Frederiks, 1871, p. 157) and still alive in 1670 (cf. Meinsma, p. 327). Johanna van Dobben (fl.1644–69) married (7 June 1644) Willem van der Werve. Christoph Wittich studied in Bremen, Groningen and in Leiden. He was theology professor in Leiden from 1671 onwards. Wittich’s commentary, which primarily qualifies Spinoza’s system as a confused philosophical abberation, focuses on the concepts of God’s will and understanding. See: NNBW, vol. 10, cols 1233–4; DDP, vol. 2, pp. 1083–6. Christoffel Coenradus van Vrijberg (or Coenraets, fl.1645–84) had his workshop at the Egelantiersgracht in Amsterdam and produced Quaker pamphlets, some of which were decorated with initials identical to those in TTP editions (cf. Gerritsen, 2005, pp. 258–60). Cornelis Jacobsz Noenaert made a living as a bookbinder (1647) and a printer (fl.1656–96) in Utrecht. He ran a bookshop in the center of Utrecht, in a street called Oudkerkhof. In 1687, he was head of the Utrecht booksellers guild. Noenaert issued a riposte of Spinoza at Utrecht in mid-May 1679. Ernst I of Sachsen-Gotha-Altenburg brought about a ‘Golden Age’ in his own land. He promoted the education of common people and introduced a system of modern marriage laws. He was in communication with opticians, such as Hevelius, who built hand-held refracting telescopes for him. See: Vogel, 1990; Keil, 1999. Hans Coenraadt Breghtel originated from Nuremberg, and came to The Hague in about 1640. He is first mentioned as a member of the local guild of St Luke in 1657. In 1669, Breghtel lived at the Noordeinde, in a house called ‘de Spiegel’ (‘the Mirror’). Some of Breghtel’s pieces are still preserved today (Leiden, Lakenhal, inv. no. 3192: ‘goblet of the Winter Queen’). See: Peelen, 1915; Van Gelder, 1982, p. 41. Johan van der Meer Claesz, lord of Adegeest, married Anna Verboom Jacobsdr. Her father’s cousin was the wife of the Leiden professor Franco Petri Burgersdijck. Between 1673 and 1683, the couple had a total of eight children who were all baptized in the Pieterskerk. See: Petry, 2005, p. 152. Vincent Placcius read law in Helmstadt, Leipzig and Orléans. He held the chair of moral philosophy and eloquence at the Hamburg Gymnasium (1675). He was a close friend of the Leipzig anti-Cartesian professor of rhetoric and dialectic Jacob Thomasius, who in his own work on plagiarism appreciated him as an authority on pseudonymous and anonymous writings. See: Hoffmann, 1857; Mulsow, 2006. Claude Saumaise was a French classical scholar. Hugo Grotius was a Dutch jurist who laid the foundations for international law. He was imprisoned for his involvement in the intra-Calvinist disputes of the Dutch Republic, but escaped hidden in a chest of books. He wrote most of his major works in exile in France. Gerardus Vossius was a Dutch classical scholar and theologian. Jacob Golius was an Orientalist and mathematician at the University of Leiden. He published and translated (in) Arabic. His best-known work is an Arabic-to-Latin dictionary, Lexicon Arabico-Latinum (1653), which he sourced for the most part from the Sihah and Qamous dictionary. Le Tellier was the French Secretary of State for War for a significant part of the reign of Louis XIV of France. He is commonly referred to as "Louvois". Isaac Manasses de Pas (also: Marquis de Feuquieres) was a distinguished French soldier. Dirk van der Groe was officially admitted as notary public on 7 October 1670. Presumably, he lived in the Beursstraat or somewhere close to the Exchange Bank. See: Bosma, 1998, p. 65, no. 222. Van der Groe was involved as a notary in the dispute between Hendrick van der Spijck, Rebecca de Spinoza, and Daniel de Casseres after Spinoza's death. Franciscus van den Enden was a former Jesuit, Neo-Latin poet, physician, art dealer, and philosopher, who is mainly known for his influence on Spinoza. The extent to which Spinoza was influenced by Van den Enden, however, remains a matter of scholarly dispute. Marin Mersenne was the French minim priest and savant. He was interested in a multitude of domains ranging from mathematics and music theory to philosophy, experimental physics and theoretical optics. His scientific friends, which were in his widespread correspondent network and Parisian cabinet, included many well-known figures. See: Brown, 1967, pp. 31–63; DSB, vol. 9, pp. 316–22. Hendrik Adriaan van Rheede tot Drakenstein was a naturalist, military man, and colonial administrator of the East India Company. He served as a governor of Dutch Malabar and employed twenty-five people on his book Hortus Malabaricus, describing 740 plants in the region. Giovanni Alfonso Borelli was interested in applied mathematics, mechanics in astronomy and animal physiology. He was one of the first scholars to calculate comets to be moving in elliptical orbits. See: DSB, vol. 2, pp. 306–14; Boschiero, 2007, pp. 59–92; id, 2008 (on comets); DBI. André Tacquet was a Jesuit who taught mathematics in Antwerp and Leuven. He prepared ground for the development of the integral calculus, and wrote Arithmetica theoria et praxis (Leuven, 1656), a popular text which was reprinted for almost fifty years. See: De Backer, 1853–61, vol. 2, pp. 615–7; De Backer and Sommervogel, 1869–76, vol. 3, cols 1035–8; Bosmans, 1925. The Rotterdam wine trader Johannes Bredenburg had no university training. It appears, though, that he was a bright spirit who read translations of the works of Spinoza, Descartes, Thomas Hobbes and Meyer (cf. Israel, 2010, p. 94). See: NNBW, vol. 4, cols. 292–3; BLGNP, vol. 3, pp. 56–8; Van Bunge, 1990b, passim; DDP, vol. 1, pp. 155-9. The Dutch polemicist Johannes van Vloten published extensively on Spinoza. Together with Jan Pieter Nicolaas Land, Van Vloten published Opera quotquot reperta sunt, a critical edition of Spinoza’s works (Spinoza, 1882–3). Its first edition, which introduced the now commonly accepted ‘Ep’ numbering of the correspondence, is considered as the most reliable. See: NNBW, vol. 8, cols 1300–4. Together with Van Vloten Land published a critical edition of Spinoza’s works. Frederik Muller was a Dutch book collector and bibliographer, and rare book auctioneer since 1847. He brought more than 170 private libraries to auction. See: Mörzer Bruyns, 2004. The physician and experimenter Henry Power, a Royal Society’s Fellow, studied in Cambridge. He discovered the law of gasses (later known as Boyle’s Law). The hypothesis was published in Experimental Philosophy, but Robert Boyle's annoucement preceded the work by one year. See: Webster, 1967; ODNB; DBP, pp. 667–70. Salomon Dierkens was a legal scholar. Cf. De Vet, 2005. See also: Petry, 2005, esp. p. 147. Eduard Theodori Westerneyn (fl.1653–70) was a Reformed minister in Waverveen (1653), Leiden and Voorburg (1666). He owned a house and land in Leiden. Westerneyn’s private library was sold on 25 April 1674. Jacob van Leeuwen worked as a secretary of the village of Voorburg from 1654 to 1676. The orthodox Jacob van Leeuwen was a proponent of the appointment of Eduard Theodori Westerneyn during the Voorburg quarrel. See: Westerneyn. Athanasius Kircher was a Jesuit who lectured ethics and mathematics in Würzburg (1628), and from 1638 onwards physics, mathematics and oriental languages in Rome. He issued about forty works on a wide variety of subjects, ranging from vulcanoes (Mundus subterraneus) and magnetism (Magnes sive de arte magnetica, 1641) to egyptology (Oedipus Aegyptiacus, 1652–4) and technology (Ars magna lucis et umbrae, 1646). See: Fletcher, 2011; DBI. Frederik Hendrik was the Prince of Orange and stadtholder of Holland, Zeeland, Utrecht, Guelders, and Overijssel from 1625 to 1647. As the leading soldier in the wars against Spain, his main achievement was the successful Siege of 's-Hertogenbosch in 1629. Evangelista Torricelli was an Italian mathematician and physicist. He was a pupil of Galilei and also his successor as grand-ducal mathematican of Ferdinand II de’ Medici (1610–70). He is known for his famous barometric test (1643) with mercury in Florence. See: DSB, vol. 13, pp. 438–9; DBI. Johannes Janssonius van Waesberge was printer of several writings of the Voetius family and of René Descartes (Opera philosophica, 1656–8). Thomas Fonteyn (fl.1630–61) was abookseller and publisher in Haarlem and Amsterdam (Voorburgwal, from 1653 onwards). He produced works on various subjects ranging from religion and poetry to songbooks and mathematics. In 1654, he issued a second edition of the Nederlandt-sche woordenschat (Amsterdam, 1650) which was revised and augmented by Lodewijk Meyer. See: NNBW, vol. 2, cols 453–4. Jean Antoine de Tournes and his brother Samuel I de Tournes came from a noted family of bookdealers and printers that moved from Lyon to Geneva during the second half of the sixteenth century. The De Tournes dynasty focused in the production of Latin and French editions of works by the Italian humanist Giovanni Andrea Alciato (1492–1550). For the De Tournes family: Cartier, 1937–8, vol. 1, esp. pp. 6–32. Joannes Vollenhove was a preacher, poet and musician. Few biographical particulars are known about Otterichius, who lived in Remsfeld in the German region of Hessia. He is known to have authored a funeral oration (Frommer und gottseliger alter Leute seelige Heimfahrt, …, Kassel, 1679) for a jurist named Anton von Wersabe. The title-page of the same work refers to Otterichius as a pastor (‘a servant of the divine Word’). Jacob Statius Klefman studied law in Leiden in 1676. He was private secretary (Geheim Sekretär) and secretary (Rath und Hofgerichtssekretär) in the service of the Duke of Croÿ, Ernst Bogislaw. In his will, Bogislaw charged Klefman to see over his ‘Privatschriften und poetische Gedichten’ (Mueller, 1878, p. 162). For his longtime services, Klefman received from Bogislaw the sum of 1,000 Reichstaler (ibid., p. 170). The reputation of church historian William Cave principally rests upon two works: Antiquitates apostolicae: or the History of the Lives, Acts and Martyrdoms of the Holy Apostles of Our Saviour, … (London, 1676; rev. edn, London, 1677), and Scriptorum ecclesiasticorum historia literaria: a Christo nato usque ad saeculum XIV. facili methodo digesta …, 2 vols (London, 1688; Geneva, 1688–98). See: BBK, vol. 1, cols 962–3; LThK, vol. 2, p. 985; ODNB. Recently, Spinoza composed a particularly monstrous book in which he writes about the liberty to philosophise, and this atheist also defends doctrines and most incapable things. Therefore, this writer deserves to be refuted, as has been done by Johannes Melchioris from the Netherlands. Author and translator Jacques Parrain, Baron of Coutures, first embarked upon a military career, but later dedicated his life to literature and philosophy. He published various works, like for example La Morale d’Epicure (1686). One of his correspondents was Pierre Bayle. See: Houber, 1852–66, vol. 12, pp. 291–2. Nicolaas Heinsius the Elder was an expert in textual criticism. He was intelligencer and collector of manuscripts and books in the service of Christina Wasa. See: NNBW, vol. 2, cols 560–563; Blok, 1999, passim; DDP, vol. 1, pp. 407–8. Henry Jenkes was Fellow of Gonville and Caius College (Cambridge). He was an inactive Fellow (1674) of the Royal Society, and published a guide to Christian morality, called The Christian Tutor, or, a Free and Rational Discourse of the Sovereign Good and Happiness of Man …, London, 1683. See: ODNB. Christian Friedrich Knorr was a Lutheran minister (Generalsuperintendent) in the principality of Grubenhagen (from 1677 onward) and Osterode. Knorr authored many books and he also wrote under the pseudonyms Democritus Christianus and Nathanael Philadelphus (cf. Zenker, 2012, p. 114). 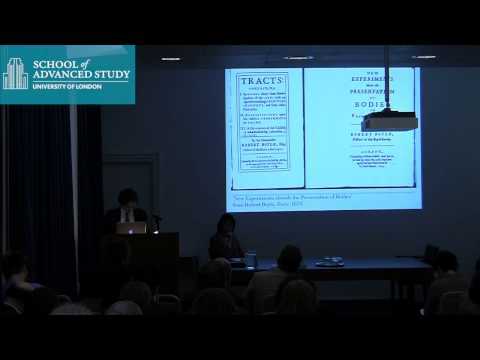 For Knorr’s position in the debate on Spinoza and TTP: ibid., pp. 112–9. Johannes Wullen earned his doctoral degree (1635) in Medicine at Padua University. He was the personal physician of Christina Wasa around 1649. There is speculation that Wullen practised in Amsterdam (Meyer, Nachbildung, 1903, X, p. 16). See: NNBW, vol. 2, col. 1550; Baillet, 1972, p. 418 (‘Weulles’); Blok, 2000, passim. Edward Stillingfleet worked for the Church of England, and was as a clergyman noted for his sermons on doctrinal, historical, pastoral and political issues. He was doctor of divinity (1668), and dean of St Paul’s Cathedral (1678). Later he became bishop of Worcester (1689). He was an apologist of the Church of England, and author of The Unreasonableness of Separation (1683). Stillingfeet was a proponent of Newtonianism. See: ODNB. Justus Modersohn studied theology at Leuven University, and became a missionary priest in Amsterdam where he founded the vicarage at the Brouwersgracht (1664). He was amember of the chapter of Haarlem (from 1680 onwards). Modersohn published the following work: Conciones in psalmos poenitentiales, seu commentarius litteraris et moralis, Antwerp, 1695. See: NNBW, vol. 8, cols 1158–9. Sébastien Antoine Tanara had a brilliant career as a diplomat in the Roman Catholic Church. Tanara was created (1695) titular bishop of Damaso and cardinal priest in the Consistory. Under pope Clement XI (1700–21), he became bishop of the Italian dioceses Frascati (1715–24) and Ostia. See: Salignac de Fénelon, 1972–2007, vol. 10, p. 180. Martinus Henricus de Swaen studied theology in Mechelen, Leuven (1669) and Paris. He received holy orders in Utrecht in 1677, and worked as a priest (1679) in Assendelft. In 1705, De Swaen published a collection of theological theses in the two-volume Opuscula (Leuven). See: Goethals, 1840–4, vol. 3, pp. 186–95; Ackermans, 2003, pp. 448–9, no. 0586. Johannes Baptista van Neercassel served as Archbishop of Utrecht from 1661 to 1686. Jacob Bayle (fl.1631–85) was Reformed minister working in Montauban and Carla-le-Comte (now Carla-Bayle). He published (1682) his brother’s Critique générale, a reaction to a work on the history of Calvinism by the ex-Jesuit Louis Maimbourg (1610–86). Bayle’s critique led to his arrest in June 1685 when the campaign against French Huguenots reached its height with the Revocation of the Edict of Nantes. See: BBK, vol. 1, cols 432–3. Fisherman Tommaso Aniello (or Masaniello) led an uprising against the Spanish rulers of Naples and the Neapolitan nobility in 1647. See: Coniglio, 1955 (uprising and Aniello); DBI. Johannes Wandelman (fl.1657–1686) converted to Roman Catholiscism in 1659. He studied theology in Leuven, and received holy orders in 1663. He became parish priest (1664) of ‘De Lelie’ (‘The Lily’) at the Amsterdam Nieuwezijds Voorburgwal, and was a member of the chapter of Haarlem (1672). See: NNBW, vol. 9, cols 1276–7; Ackermans, 2003, pp. 468, no. 0676. Johan Louckers (fl.1669–82) was a procurator and notary public in The Hague. Louckers was married to Judith le Petit. Pieter Swartendijck studied law in Leiden (1665). After his studies, he worked as an advocate for the Supreme Court of Holland in The Hague. Swartendijck’s office, according to the ‘kohier van de 200ste penning’—a tax register concerning the 200th penny, exacted in the Province of Holland on someone’s personal capital both movable and immovable property—was located in the Vlamingstraat in The Hague (cf. Berk, 1901, p. 115). Hieronymus van Beverningh (sometimes spelled Beverningk) was a prominent Dutch regent, diplomat, amateur botanist, and maecenas, who lived during the Dutch Golden Age. He was assigned to assist William III in negotiations with Charles II to break off his alliance with France. See: NNBW, vol. 7, cols 118–120. Willem van den Hove came from The Hague. He studied law in Leiden (1671), and became public notary in The Hague. He was advocate to the Court of Holland (Album advocatorum, p. 177). Theodorus Jansonius ab Almeloveen was Dutch physician and polyhistor. He studied (1676) theology in Utrecht and medicine in Leiden, and became professor of Greek, history, rhetoric and medicine (1701) in at Harderwijk University. Almeloveen earned a reputation for his works on philology and bibliography, for exampe with Bibliotheca promissa et latens (1692). See: NNBW, vol. 6, cols 31–2; De Graaf, 1989. Libertus Loeff came from Heusden. He worked as a notary public in The Hague from December 1670 onward, and was notary and procurator for the Raad van Brabant. The Lutheran orientalist Johann Michael Lange studied philology, philosophy, medicine, and theology in Halle. He was appointed to the chair of theology at Altdorf University in 1697. Lange was a prolific writer and a staunch champion of pietism, a movement within Lutheranism that advocated the revival of devout Christianity. See: ADB, vol. 17, pp. 601–2. Johann Christoph Sturm studied mathematics, physics and theology in Jena (1656–62) and Leiden. He was professor of mathematics and philosophy in Altdorf (1669). Sturm enjoys a reputation in optics for the introduction (1676) of the first reflex camera. That contraption could produce an image on an oiled paper that was stretched across the opening in the top of the camera. See: ADB; DSB, vol. 4, p. 166; Gaab, 2004. Georg Sebastian Kraus was deacon for St Aegidius Church in Nuremberg (from 1693 onwards). Fabritius in his letter to Spinoza (cf. 1673.02., Ep. 47) urges Spinoza to write back to him as soon as possible, for example via Jacob de Groot. De Groot came from The Hague. He studied philosophy in Leiden (1643), and was a permanent representative of the Elector Palatine in The Hague. See: Schutte, 1983, pp. 213–4, no. 200. Francesco Lana Terzi, an assistent (1652–4) of Athanasius Kircher, was professor of physics and mathematics at Brescia. There, he performed a large number of physical, optical and alchemical experiments based on Baconian principles. In the 1680s, he embarked upon writing a twelve-part encyclopedia of science (Magisterium artis et naturae) of which eventually only three volumes were published. See: Baldwin, pp. 54–8. Erich Mauritius studied law in Wittenberg, Frankfurt an der Oder and Giessen. He was professor of law in Tübingen (1660) and Kiel (1665). He published many works on controversial legal issues, like the persecution of witches (De denunciatione sagarum, 1664). Apparently, he had a keen interest in the New Philosophy with a respectful attitude to Hobbes. See: Nonnenmacher, 2001. Antonie van der Nypoort was Lord of Hogelanden. He has a political career in the civic administration of Utrecht and was first town bailiff (1703). Gerard van der Nypoort read law in Leiden (1616) and took out his doctoral degree in Law in 1622. He was ‘raad ordinaris’ (ordinary councillor), and one of the Geëligeerden (1671–7) in the States of Utrecht (cf. Lijste, 1723, p. 11; Quint Ondaatje, 1784, Annex E, pp. 167 and 174). He was member of the Chapter of Oudmunster. See: NNBW, vol. 3, col. 924. Johannes Heinrich Ott (fl.1665–71) was a correspondent and friend of Leibniz. He received a letter of Oldenburg on his inventions (January 1671). See: Malcolm, 2004, pp. 264–5. Ott is mentioned in the correspondence between Spinoza and Leibniz, see 1671.10.05, Ep. 45. Albertus von Holten studied philology and theology in Rostock, Leipzig, Jena and Altdorf. He entered the service of Count Georg Philipp von Ortendorf in Stuttgart, and held chair of oriental languages in Tübingen (1671). His earliest correspondence with Leibniz dates from 1670. Two letters from their exchange survived. See: Tietz, 2008, p. 88. Otto Verbeecq was probably the same individual as one Otho Verbeec from Amsterdam. He read law in Leiden in 1661 and on 28 September 1663 he was admitted by the High Court of Holland to work as a lawyer (Album advocatorum, p. 322). Antonius Perizonius was appointed (1655) to the chair of Hebrew languages in Hamm (Westfalen). From 1666 onwards, he read Hebrew and oriental languages at the Illustrious School of Deventer. Perizonius was a rather minor figure who authored no important original works. See: NNBW, vol. 5, col. 466; BLGNP, vol. 2, pp. 358–9; Touber, 2013, passim. Johann Friedrich Mieg (or Miegius, 1642–91) studied in Heidelberg, Groningen (1658) and Leiden. He was professor of theology at Heidelberg University (from 1665 onwards). Mieg held his inaugural lecture in theology on 15 June 1691 at Groningen University in 1691 and died one month later. See: Drüll, 1991, pp. 103–6. Reinhold Pauli studied theology at several German and Dutch universities (Groningen, Franeker, Leiden). He joined Marburg University in the early 1670s where he promoted a new openness to Cartesian philosophy. Pauli wrote a treatise against Spinoza. See: Shantz, 2008, p. 10. Oliver Doiley (fl.1671–94) received his formal education at Eton. He studied law in Cambridge and took out his doctoral degree in Law also there. He was vice-provost and Senior Fellow of King’s College. No original works of him are known. Pierre Desmaizeaux lived and worked in England as a cultural translator and correspondent for scholarly Franco-Dutch periodicals. He edited the works of John Locke and translated the works of Pierre Bayle and Saint-Évremond into English. See: Almagor, 1989. Koenraad van Beuningen was a Dutch diplomat and Amsterdam Burgomaster. He was a colourful, influential figure with a keen interest in philosophy and theology, and was sympathic to Quaker ideas. He was secretary (1642) of Grotius, and headed numerous diplomatic missions for the Dutch Republic. See: NNBW, vol. 7, cols 118–120. Urbain Chevreau entered the Parlement de Paris at the age of 29. He was the personal secretary (1633) of Christina Wasa, Queen of Sweden. He made the acquaintance of Fabritius in 1658 and it was through him that he was invited to the Court of Heidelberg between 1671 and 1678 (cf. Mayer, 1923, p. 24). Chevreau earned a reputation as author of the eight-volume Histoire du monde (Paris, 1686) and Chevraeana, 1697. Alexandre Colins was Esquire and Viscount of Aherée (1662). He served in the Dutch States’s army (from 28 April 1672 onwards), and fought in a German regiment in the service of the Spanish King. He contributed (c.1677) to the album amicorum of the Reformed Dutch pastor Gerard Croese (1642–1710). Paul Buissière was a French physician and anatomist, and Surgeon-General (1689) to the English forces in Ireland. He was a member of the Académie Royale des Sciences and Fellow (1699) of the Royal Society. Buissière published about certain scientific affairs: Lettre à M. l’abbé D.L. sur les vértitables effets de la baguette de Jacques Aymar, Paris, 1694 (Vermeir, 2012, passim). See: ODNB. Biographical details about Henriquez Morales (or Morelli, fl.1673–1715) are based on a note (1726) by Saint-Évremond. According to the latter, Morales was born in Cairo the son of a Jewish physician and settled in Amsterdam. There, he started his studies in medicine. Morales left Judaism and converted to Roman Catholicism (cf. Saint-Évremond, 1740, vol. 5, pp. 283–6). See: Popkin, 1995, pp. 11–12. Christoph Joachim Nicolai von Greiffencrantz represented (1693–9) the Duchy of Holstein in Essen (East Frisia, north west Germany). Von Greiffencrantz sojourned as an envoy in The Hague and Vienna and corresponded extensively with Leibniz (from 1697 onwards, 266 letters). After Von Greiffencrantz’s death, his son negotiated with Leibniz about the sale of his father’s manuscripts (cf. Müller and Krönert, 1969, p. 253). Johannes Müller studied philosophy and theology in Breslau, Wittenberg and Leipzig. He was professor of moral philosophy (1622) at Wittenberg University, and pastor (1627) of the St. Peter and Paul church in Hamburg. Jacob Gronovius was a Dutch classical scholar and theologian, who studied in Leiden, Oxford and Cambridge. He was professor of history and Greek language (1679) and of rhetoric (1692) at Leiden University. Gronovius entertained a large correspondent network. As a writer, his fame mainly rests on Thesaurus antiquitatem Graecarum (Leiden, 1697–1702), a thirteen-part work devoted to classical literature and archeology. See: NNBW, vol. 1, cols 986–9. Friedrich Walther had some medical training most likely. He kept a correspondence with Leibniz from 3/13 April 1672 until November 1714. Samuel A. Andreae studied theology in Heidelberg, Groningen (1658) and Basle. He held a chair (1665) of history and Greek in the university of Herborn (1665), and took out his doctoral degree in Theology (1671). He worked in the Marburg theology department of the Philippinum (1687–93). In July 1670 Andreae received a letter from Mieg indicating that the latter knew that Spinoza was the writer of the TTP. Francisco Mendes Chillon (fl.1641–57) was a merchant from Amsterdam in the import business of textiles. He was also accountholder of the Amsterdam Wisselbank (1646–7), and had close business relations with the Sephardi community in Hamburg. See: Swetchinski, 1975, p. 171, Annex B.
Pedro de Faria was a member of the Contractacion of Nantes, an organisation of French and Iberian Catholic merchants enjoying economic privileges in the maritime trade with the Spanish town of Bilbao (cf. De Bruyn Kops, 2007, pp. 262 and 284). Nothing is known about Matthatias Aboaf, except for the fact that the funeral service of his son was attended by Spinoza's father Michael on June 24, 1641 (cf. Hagoort, 2008, p. 35). Michael also visited Matthatias funeral on March 20, 1644 (Hagoort, 2008, p. 89, 105). Jacob Bueno (fl.1636–1646) was one of the Parnasim of the Portuguese-Jewish congregation Bet(h) Jacob (Spinoza, mercator & autodidactus, p. 15, III,4a) together with Michael d'Espinosa (1636–7). He is mentioned in the burial registers (1639–48) of cemetery Beth Haim. Cf. Hagoort, 2008, passim. Jan de Pas may well be identified as Jan de Paz, an accountholder of the Wisselbank in 1646 and 1647. Denis Jennes was a silk and tobacco merchant in Amsterdam and Maarssen where he owned the estate ‘Hogesant’. He had consortiums with other Amsterdam entrepreneurs in the trade with Marocco, and was accountholder of the Wisselbank in 1646 and 1647. See: NNBW, vol. 9, cols 2–3; Kellenbenz, 1958, p. 115; Schorsch, 2004, p. 437. Isak Coronel was a business partner of Michael d'Espinosa in Amsterdam most likely. He may be the same individual as Ysack Coronel mentioned in the burial registers (1639–1648) of the Portuguese-Israelite cemetery Beth Haim (cf. Hagoort, 2008). Simon Barkman (fl.1638–46), ‘a neighbor of Hans D Amory’, was active as a merchant in Amsterdam most likely. He may be identified as an accountholder of the Wisselbank (1646, 1647) also named Simon Berckman. See: Bosma, 1998, p. 126, no. 596. Jan Warnaertz was admitted to the profession in 1621. He worked as a curator. Abraham de Mercado (fl.1638–55) was a member of the Jewish community of London. He settled in Barbados in 1655 where he practised as a physician and pharmacist. He was reported as having directed information to the Dutch in Brazil about a Portuguese plot (cf. Arbell, 2002, p. 194). Menasseh ben Israel dedicated the second part of his El Conciliador (1632) to De Mercado. Abraham de Fonseca (fl.1641–7) was an accountholder (1646–7) of the Amsterdam Wisselbank. He was a highly successful businessmen and prominent investors in Dutch trading networks. Perhaps he was the same individual as one Abraham Fonseca who is mentioned several times in the burial registers (1639–1648) of cemetery Beth Haim (cf. Hagoort, 2008, passim). Jacob Codde is mentioned (1637, 1641) in the municipal archives of Amsterdam as a buyer and owner of a house called De Vergulde Windhond (‘The Guilded Greyhound’) in the Jodenbreestraat. Ruy Gomes Frontera (fl.1622–38) was a member of congregation Bet(h) Jacob. He worked as a physician in Amsterdam, and wrote a letter of criticism (1625) to the Parnassim about the high costs of tombs at the Portu­guese-Israelite cemetery Beth Haim. See: Hagoort, 2005, p. 33. Fairly nothing is known about Pedro Henriques, except for the fact that he worked as a Portuguese merchant in Amsterdam. On 8 June 1638, Michael and Ruy Gomes Frontera became the trustee of the bankrupt estate of Pedro Henriques (who had died recently). Lopo Nunes (fl.1627–38) worked as a merchant in Hamburg most likely. His name is mentioned in the Amsterdam notarial records frequently. Jan Volkertsz Oli (fl.1635–81) came from Hoorn. He took his oath as public notary on the recommendation of Amsterdam on 16 January 1635. He was buried in the Nieuwe Kerk. See: Bosma, 1998, p. 97, no. 408. Diego Cardozo Nunes (fl.1624–47) was a Portuguese entrepreneur in diamonds working in Antwerp and Amsterdam. See: Van Dillen, 1929–74, vol. 2, p. 700; Blot, et al., 2000, p. 243. Nunes is listed as an accountholder of the Amsterdam Wisselbank in 1646 and 1647. Henrick Dircksz Reynst was, together with Outgert Pietersz Spiegel, marriage registar for Hester de Espinosa. Outgert Pietersz Spiegel was, together with Henrick Dircksz Reynst, marriage registar for Hester de Espinosa. Samuel Pepys was an administrator of the navy of England and Member of Parliament. He is most famous for the diary that he kept for a decade as a relatively young man between 1660-1669. Jacob del Soto (fl.1639–71) is mentioned fin the burial registers (1639–1648) of Beth Haim (Hagoort, 2008). He is referred to as Chatan Bereshit (1639) in one of the sermons of Rabbi Samuel Levi Morteira (Budapest, Rabbinical Seminary, ms. 12 ‘Giv’at Sha’ul’, vol. 5, fol. 6v (Bereshit, Genesis 1:10) (cf. Saperstein, 2005, p. 42). His will caused a conflict in the Amsterdam Sephardi community (cf. Kaplan, 1989, pp. 196–9). Menasseh ben Israel was a rabbi, publicist, diplomat and translator. He founded (1626) the first Hebrew printing firm (Emeth Meerets Titsm’h), and persuaded Lord Protector Cromwell to readmit Jewish refugees officially to settle in England. He had contacts with the messianic exegete Isaac de la Peyrère and Isaac Vossius, Queen Christina of Sweden, and the famous Dutch painter Rembrandt van Rijn. See: Menasseh ben Israel, 1989; Bodian, 1999; ODNB. Jacob Boeve (fl.1651–68) came from Middelburg. Names of the Boeve family are listed in the registers of the Dutch Church in Austin Friars (London). Jacob is also mentioned in the well-known diaries of Samuel Pepys, who describes him as a merchant, solicitor and lawyer living at Chancery Lane, London (cf. Pepys, 2000, vol. 6, p. 206). Antonio Rodrigo de Morais (fl.1647–56) was a Spanish merchant at Rouen. 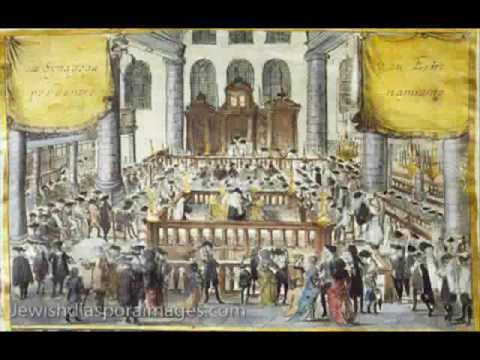 He settled in London (1680) where he practised Judaism openly. De Morais is recorded in a legal document of the Parlement de Rouen (5 February 1649). See: Oelman, 1986, p. 28. Michael died of yellow fever in Willemstad. Isaac married Hanna in 1674 (cf. Walther and Czelinski, vol. 2, p. 100). Lourens de Collenaerts (fl.1652–64) traded in Bordeaux from 1647 onwards, and was an accountholder (1646–7) of the Amsterdam Wisselbank. He was succeeded by Anne-Marie. Jan Romboutsz may have been the same individual as the Amsterdam shipowner Jan Rombouts, who started a three-weekly freight service of galiots to Portugal in 1656 (cf. Elias, 1903–5, vol. 1, p. 263). Rembrandt Harmenszoon van Rijn was a Dutch painter. He is generally considered one of the greatest visual artists in the history of art. Rembrandt's works depict a wide range of style and subject matter, from portraits, self-portraits, to landscapes, genre scenes, allegorical and historical scenes, biblical and mythological themes as well as animal studies. Isaac Montalto was perhaps Ishac Montalto, ‘son of Mose Montalto’. He was buried at Ouderkerk aan de Amstel on 26 June 1644 (cf. Hagoort, 2008, p. 100). On August 25, 1642, Isaac Montalto together with Michael freighted a vessel to set sail for the port of Tétouan. Baruch d’Osorio was a wealthy Amsterdam merchant in wood and salt. Cf. Hagoort, 2008, p. 5. Emanuel de Tovar (fl.1609–41) came from Faro (south of Portugal) and lived at the Amsterdam Uilenburg quarter (a small island close to the Jodenbreestraat, Oudeschans and Rapenburg). Spinoza, mercator & autodidactus, p. 21, III,11a). He may be the same individual as Manuel de Tovar listed as an accountholder of the Amsterdam Wisselbank in 1646 and 1647. Francisco Lopes d’Azevedo (fl.1614–41) was a Portuguese merchant in Amsterdam with privileged relations with Lisbon. He engaged in the import-export business of textiles amidst others (cf. Israel, 1990, p. 429). He may be the same individual as Francisco Lopes d’Asseveda, an accountholder of the Amsterdam Wisselbank in 1646 and 1647. Davi Vas is presumably the same person as Davy Vas. He is mentioned in the burial registers (1639–1648) of Beth Haim cemetery (Hagoort, 2008). Davi was buried on 18 November 1647, and his funeral service was attended by Michael (cf. Hagoort, 2008, pp. 130 and 175–6). Michael went to the funeral of Juzua Avas on December 17, 1645. He was burried at Beth Haim. Pieter Woltrincx (or Woltrings) is mentioned in July 1631 as the freighter of the ship De Jonge Roelant (‘The Young Roland’) which travelled from Amsterdam to Archangel and Bayonne. See: Amsterdamse notariële akten over de Archangelvaart 1594-1724, nos 3298 and 4594. Joseph Pallache was a merchant, diplomat and pirate, who regularly stayed in The Hague as an agent of the ruler of Morocco. He was burried at Beth Haim cemetery. The record for his grave spells his name as "Palache." Lodewijk Meyer was a Dutch physician, classical scholar, and translator. He was a prominent member of the circle around Spinoza. Rebecca d’Espinosa married Samuel de Caceres, widower of her elder sister Mirjam, somewhere after 6 September 1651. Josua Habilho was a wealthy sugar merchant who settled in Amsterdam in 1598 (cf. Walther and Czelinski, vol. 2, p. 84). Gabriel d’Espinosa (fl.1632–after 1664) was Spinoza’s brother and also business partner after the demise of their father in 1654. He continued the Espinosa firm at least until 31 October 1664 (cf. Vaz Dias and Van der Tak, 1982, p. 189). Gabriel moved out of the house at the Houtgracht after 31 October 1664, He left Amsterdam and went away to live in the West Indies. After Spinoza’s death, Daniel and Rebecca de Spinoza got involved in a legal dispute over the estate of their deceased uncle and brother. See: Rebecca. Willem Anthonisz Kick was a silk merchant from Breda. Henrique Graces (fl.1598–1619) originated from Porto and settled in Amsterdam between 1598 and 1605. He was buried at Beth Haim on March 13, 1619 (‘Livro de Bet Haim’, Walther and Czelinski, vol. 1, p. 183, no. 6), after he was circumcised (sic) to permit burial (cf. Bodian, 1999, p. 33). Jorge Fernandes Canero (fl.1596–1627) was a Portuguese merchant working in Amsterdam. Mendo Lopes (fl.1577–1627) was a Portuguese merchant working in Amsterdam. Lopes was probably the same individual as Mendo Lopes. He is mentioned several times in the burial registers (1639–48) of cemetery Beth Haim (cf. Hagoort, 2008, pp. 75, 103 and 109). Benjamin Idanha made a living as a merchant and was treasurer of the Sephardi congregation in Wisselbank (cf. Walther and Czelinski, vol. 2, pp. 85–6). Titus van Rijn was the only surviving child of Rembrandt. Titus is best known as a figure or model in his father's paintings and studies. Duarte Rodrigues Lamego (fl.1642–55) was a prosperous, influential Portuguese merchant from Rouen. He was an unofficial ‘agent’ providing Portuguese diplomats with information from the French court (cf. Israel, 1990, p. 344). Balthasar Bekker was a Dutch minister and author of philosophical and theological works. Opposing superstition, he was a key figure in the end of the witchcraft persecutions in early modern Europe. His best known work is De Betoverde Weereld (1691), or The World Bewitched (1695). Van Til is said to have questioned Spinoza about his doctrines, and in Het voor-hof der heydenen he quotes from a letter reporting about that interview (Van Til, 1690, pp. 5–6; Steenbakkers, 2010b, p. 31). For Van Til: NNBW, vol. 10, cols 10279; BLGNP, vol. 4, p. 424–8. René Descartes was a French philosopher, mathematician, and scientist. Some have called him the father of modern Western philosophy, much of subsequent Western philosophy is a response to his writings, which are studied closely to this day. See: https://plato.stanford.edu/entries/descartes/. Ehrenfried Walther von Tschirnhaus was a German mathematician, physicist, physician, and philosopher. Spinoza attended Stensen's anatomical dissections in 1662 in Leiden. In 1667, Stensen converted to the Roman Catholic faith. Later, he reproached Spinoza (1675) for his heterodox notions. In 1677, Stensen handed in a denunciation of Spinoza’s philosophy and a manuscript copy (1675) of the Ethica to the Roman Holy Office of the Inquisition, which he had pilfered from the belongings of Spinoza’s friend Von Tschirnhaus. Leibniz was a German philosopher and mathematician who occupies an important place in the history of philosophy and mathematics. He argued that the universe is the best possible world that God could have created. See: https://plato.stanford.edu/entries/leibniz/. Spinoza and Burgh, a friend and declared disciple of Spinoza until 1673, wrote intensely about the latter's conversion to Roman Catholicism that year, see 1675.09.03/11, Ep 67 and [1675/76].00.00, Ep 76. Johannes Montanus (fl.1595–1657) was a teacher at the Amsterdam Latin School. Petrus Serrarius was a Dutch millenarian theologian, who was a merchant by profession. He was a close associate and protector of Spinoza. Hasdai Crescas originated from Catalonia. He earned a reputation for his knowledge of Talmudic law, and was a rigid critic of Aristotelian thinking (especially Moses Maimonides), in favour of Jewish doctrine and philosophy. See: Wolfson, 1929; CCS, pp. 77–8; Lagerlund, 2011, vol. 1, pp. 454–6. See: https://plato.stanford.edu/entries/crescas/. Judah Leon Abravanel was a Portuguese Jewish physician, poet and philosopher. His work Dialoghi d'amore (Dialogues of Love) was one of the most important philosophical works of his time. He was born of Castilian Jewish heritage in Lisbon, and wrote his most important work in Italian. See: https://plato.stanford.edu/entries/abrabanel/. Wolferdus Senguerdius was a extraordinary professor of philosophy in Leiden. Louis XIII ruled as King of France from 1610 to 1643. Höjerus may have been from Danish extraction, even from the United Provinces. Perhaps, if he was from Denmark, he may be identified as Andreas Hoierus (from the duchy of Holstein) who matriculated as a student of philosophy at Leiden University on 22 October 1650 (Album studiosorum Academiae Lugduno-Batavae, col. 407). William Harvey was an English physician who made seminal contributions in anatomy and physiology. He was the first known to describe completely and in detail the systemic circulation and properties of blood being pumped to the brain and body by the heart. Joseph Solomon Delmedigo was a rabbi, author, physician, mathematician, and music theorist. Spinoza had a copy of at least one of Delmedigo's works in his library (Abscondita Sapientae). Miguel Pérez de Maltranila served as a soldier in Flanders. See: ibid., pp. 32 and 66, Annex 2. Pérez de Maltranilla accompagnied one captain Marcos de Avellaneda from Bruges to The Hague in late September 1658. In November of the same year, he settled temporarily in Amsterdam. Johannes van Horne studied medicine in Leiden, Utrecht and Naples. He was an extraordinary professor of anatomy and surgery at Leiden University (1653), and first discovered and observed the thoracic duct in the human body. See: NNBW, vol. 7, cols 624–5; DSB, vol. 6, pp. 508–9; Lindeboom, 1984; Huisman, 2009. Emanuel Rodrigues Vega (fl.1593–1603) was a Portuguese importer of sugar and spices. David de Vries (fl.1650–62) came to Salé as a captive from Brazil in 1650. He was a Dutch consul in Salé and Tétouan (1651–62). See: Schutte, 1976, p. 383, no. 281. Antonio Correa de Mesquita was a merchant from Amsterdam. Fernando Alvares was a merchant from Amsterdam. Petrus Ramus was an influential humanist, logician, and educational reformer. He was killed during the St. Bartholomew's Day Massacre. See: https://plato.stanford.edu/entries/ramus/. Bartholomeus Keckermann was a Reformed theologian who studied in Wittenberg and Heidelberg. He held a chair in Hebrew in the Heidelberg faculty of philosophy (from 1600 onwards), and was recognised for his logical treatise Systema logicae, tribus libris adornatum … (Hanover, 1611). Spinoza studied his work closely. See: DSB, vol. 7, pp. 268–70; Freedman, 1997. Antonio Dagurre is listed (1646–7) as accountholder of the Wisselbank. Francisco was listed (1646–7) as accountholder of the Wisselbank. On 10 December 1653, Michael d'Espinosa signs a protest of non-payment of two wisselbrieven before notary public Benedict Baddel. One was owed to him by the brothers Dagurre (the acceptors). This is actually the last document in the Amsterdam town archives that refers to the business activities of Michael as head of the Espinosa firm. Merchant Julian Lanson must be identified as Juliaen Lancon, who is listed (1646–7) as accountholder of the Amsterdam Wisselbank. He is presumably the same individual as Jullien Lanson, an entrepreneur who worked in the import-export trade of woollen textiles (cf. Van Dillen, 1929–74, vol. 3, pp. 560 and 581–2). Benedict Baddel was probably from the French town of Bassin. He took his oath (1626) as notary public on the recommendation of Amsterdam. As a public notary he got in contact with many merchants and businessmen, including Michael and Spinoza. He authored Poëmes d’amours, Amsterdam, 1616. See: Mellot, 1991; Bosma, 1998, p. 32, no. 25. Sebastiaan van der Piet came from Vlaardingen, and was admitted as notary public (1621). He was buried in the Westerkerk. In 1639 Van der Piet made a contract concerning the sale of a house in the Breestraat for painter Rembrandt van Rijn. David Israel d’Oliveira may be the same individual as Davi Isarael d’Oliveira, who is mentioned in the burial registers of cemetery Beth Haim (Hagoort, 2008, p. 161). Claude Surmondt must be identified as the individual Glaude Surmont, accountholder (1646–7) of the Amsterdam Wisselbank. Fairly nothing is known about Boudewijn Verkruyssen. In all likelihood, he was the same individual as Boudewijn Vercruijse, accountholder (1646–7) of the Wisselbank. Jeremias Casteleyn (fl.1646–53) lived in a house named In de Stadt Praagh (‘In the City of Prague’) at the Herengracht (cf. Elias, 1903–5, vol. 2, p. 888). He was accountholder (1646–7) of the Amsterdam Wisselbank. Daniel Pinto was involved in a legal dispute with Rembrandt in 1654. The public notary in that dispute, Benedict Baddel, was well acquinted with the Spinoza family. Isaac da Costa worked as a merchant in Amsterdam. On 10 May 1655, he signed a legal document before Benedict Baddel to confirm the identity of someone named Elias de Pas, together with, among others, Spinoza. Adriaen Lock took his oath as a notary in 1647. He was involved in the execution of the bulk of the share trade dealings of the Dutch East India Company (cf. Petram, 2011, p. 12). He was also involved in a legal case (1654) between Rembrandt and the Portuguese merchant Diego Dandrade. As a notary, he played a role in the dispute between Spinoza and Antonio Alvares. See: Bosma, 1998, p. 85, no. 337. Diego Dandrade was involved in a legal case with Rembrandt. Manuel de Lavello is mentioned as a witness to a deed, made by Baddel, dated 9 February 1654, concerning the legal dispute between Rembrandt and his Jewish neighbour Daniel Pinto. See: Vaz Dias, 1936, p. 35. On 10 May 1655, Manuel de Lavello, together with, among others, Spinoza, signed a legal document before Baddel to confirm the identity of someone named Elias de Pas. Johannes Hudde was a burgomaster (mayor) of Amsterdam between 1672–1703, a mathematician and governor of the Dutch East India Company. Hudde was a brilliant mathematician who contributed to Van Schooten’s the second edition (1659) of Descartes' Geometria. He had a keen interest in theoretical and practical optics and collaborated with Spinoza in the mid-1660s to build a hand-held refracting telescope. Johan Antonides van der Goes was a poet and playwriter. He dedicated his poem De Ystroom to Cornelis de Vlaming. Gabriel Alvares (fl.1641–55) was a jeweller. He owned two mills for cutting diamonds (cf. Vlessing, 1997, p. 22; id., 2002, pp. 148–9). Antonio Alvares (fl.1641–55) was a jewel merchant who moved from Paris to Amsterdam, where he lived with Isaack and Gabriel Alvares in a house called De vergulde valck (‘The guilded falcon’) in the Uilenburg quarter (cf. Spinoza, mercator & autodidactus, p. 65). Manuel Duarte was an Amsterdam jewel trader. Joost van den Vondel was a Dutch poet, writer and playwright. He is generally considered to be one of the greatest Dutch poets and playwrighters of the 17th century, and is most famous for his Joannes de Boetgezant (1662), which deals with the life of John the Baptist. Manuel Levy Duarte was a successful Amsterdam merchant who, together with Jacob Athias, operated in the jewellery trade with London under the name of ‘Athias and Levy’ (1661–90). Jacob Athias operated in the jewellery trade with London under the name of ‘Athias and Levy’ (1661–90).